Are you looking for a government job? Here is the next opportunity that the government has given you another opportunity to get into it. 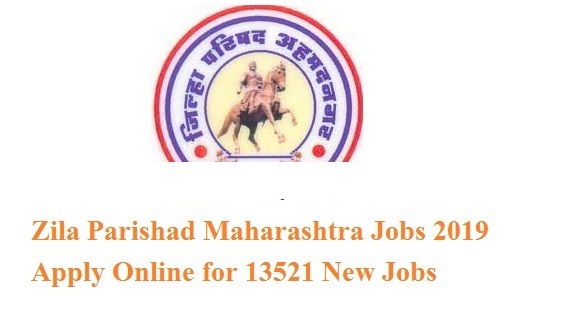 Now, for the year 2019 Maharastra have released the notification for the Zilla Parishad Maharastra Recruitment 2019 and the recruitment is for various posts like Junior Engineer, Contractual Gramsevak, Pharmacist, Laboratory Technician, Health Worker, Extension Officer, Civil Engineer Assistant, etc. The recruitment is called out for filling the vacancies of around 13,521 posts and you may apply and prepare for it to get your dream job in the Government sector. For applying and further details, you may heave the details and visit the official website. Step 1: when you plan to apply for the Zilla Parishad Maharastra various posts Recruitment 2019 exam, have valid email ID and scanned copies of photos and signature. Selection for the posts Zilla Parishad Maharastra Recruitment 2019 will be based on test and interview.